Try these easy healthy kids snacks made with real food. Tested by these 3 and 7 year old boys and their friends. They helped make the fun snacks for kids here, with foods they like to eat. Bonus: They are now eating more of their dinner because their mom is using mostly fruits and veggies like these healthy kids snack recipes. Both kids helped make these fun boats. They may not look pretty, but kids love them. Crack open the pods, take out the peas. Add the hummus and put the peas back in. Get your kids eating more seeds, packed with nutrition: sesame seeds, chia seeds, hemp seeds, sunflower seeds or pumpkin seeds. These can be a bit messy, so try them first at home before putting them in their lunches. Spread topping on rice crackers. Use a cookie cutter for making shapes, or cut a shape from foil wrap or parchment paper. Put shape on cracker, seal the edges and add seeds. Pour off extra seeds into a bowl and take off the form. 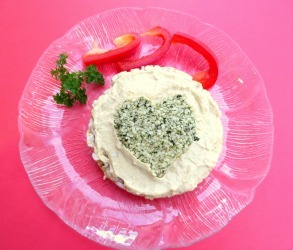 Use hummus or peanut butter instead of cream cheese. Mix different types of seeds together or separate: sesame seeds, chia seeds, hemp seeds. Use chopped or slivered almonds, chopped sunflower seeds or chopped pumpkin seeds, to make the shape on top of the rice cracker. Bonus: These seeds are usually safe to bring to school, even if there are kids with nut allergies. 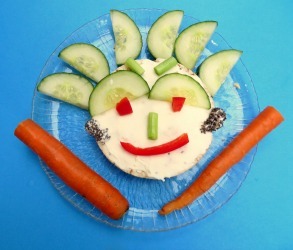 These fun healthy snacks for kids combine only two foods in a fun way. 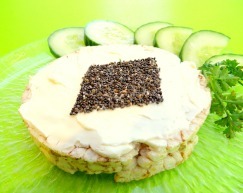 Try this Also: turn slices over with the flat side up, and add almond slivers, chia seeds, sunflower seeds to add crunch. 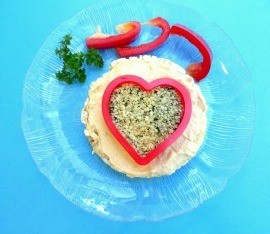 Use a heart shape, triangle or a circle for fun healthy snacks for kids. To make a shape, use a cookie cutter or cut a shape into a piece of foil wrap. 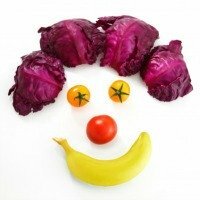 Want fun healthy snacks for kids? 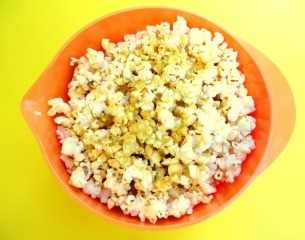 No, the popcorn you buy at the movies is NOT healthy, but air popped popcorn is good nutrition and this recipe is not fattening. Here's how to get your kids to love coconut oil -- one of the BEST healthy kids snack recipes, either for their lunch boxes or at home after school. 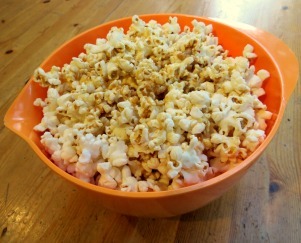 Melt the coconut oil and pour onto popcorn along with salt, to taste. Coconut oil is one of the best for healthy kids snack recipes because it does not make you fat, and it has many health benefits. Bonus: Coconut is one of the best for healthy kids snack recipes because it isn't fattening. Use it on toast and for frying, for many added health benefits. Also try: Mix 2 heaping tbsp peanut butter or almond butter in with the coconut oil, and melt together. Bonus: Air popped, real popcorn (not microwave) is a whole grain that makes a good crunchy snack with fiber and some vitamins and minerals. Much better nutrition than crackers, chips or pretzels! So stop using microwave popcorn loaded with yuk, and get a popcorn popper to fun healthy snacks for kids and the whole family. 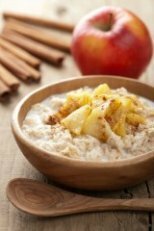 Put sliced apple in small container or baggie and add cinnamon. Shake to mix and coat the apples. Also try: Serving with peanut butter, almond butter as a dip and presto, you have fun healthy snacks for kids using real food! 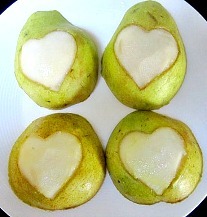 Bonus: The cinnamon keeps the apple from going brown, so these are better than plain sliced apples for kids lunches. 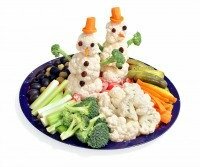 Kids tend to like finger foods and raw vegetables -- cauliflower "snow men," broccoli "trees" dipped in a spread, cucumber and carrot sticks remain all time favorites. With tasty, local, fresh vegetables they will learn to appreciate real flavor! 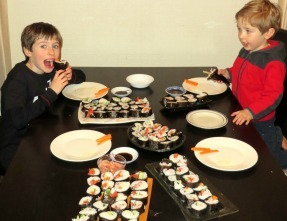 Why NOT Low CARB or Low FAT for Kids!